In the course of a plan approval procedure for newly constructing tracks for a tram, IBS compiled a shock prognosis. 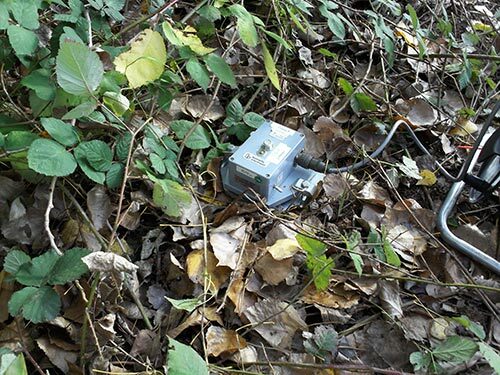 On an existing section of the railway system, shock and vibration emissions were being measured, and the shock and vibration immissions as well as secondary noise immissions were predicted in the adjacent residential neighbourhood. For zones where one or more evaluation criteria were expected not to be met, control measures were planned. A light spring-mass system is being used to ensure protection from shock immissions. 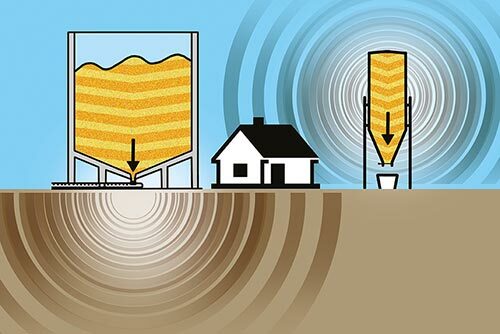 When producing cement, shock problems can occur due to so-called “silo quakes”. They are caused by sudden flowing, followed by abrupt deceleration, of portions of the loose material (here: cement clinker) inside the silo. Shock immissions are caused by portions of the loose material that suddenly set themselves to motion and then experience sudden deceleration. In the present case, we examined whether the allowable shock immissions could be met in the neighbourhood of a cement factory, where a new building was to be built. 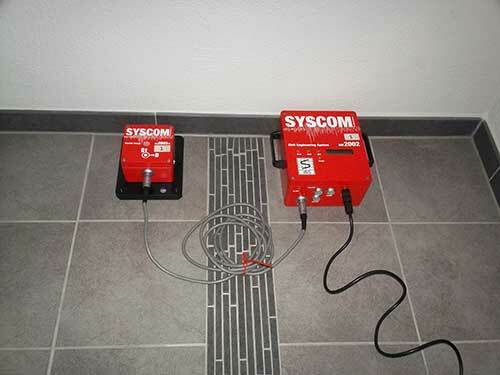 In the course of that shock immission prognosis, we installed a shock and vibration monitoring system at the location of the building planned and measured the shock and vibration impact over a period of several weeks.